My name is Joshua Atkinson and I’m in my second year of college at Cardinal Newman College. Here’s my Harrison Drury work experience diary. You may think, why is Harrison Drury different to every other law firm? For me the thing that struck me was that they not only have a huge focus on their clients, they also put their employees at the heart of everything they do. Their values include treating people fairly and making sure that everyone is included. This is the reason my experience with Harrison Drury was a great one. As an aspiring lawyer who already studies law at the college and wants to progress further, I thought that gaining work experience at a law firm would be beneficial for me. This is when I came across Harrison Drury. When I first walked through the doors I was greeted by friendly staff and this portrayed not only a good working environment but a great community within the business. After going through the introduction stage, I was spent some time with the HR team. This team was great, and they included as much as possible, making me feel like I had worked at the firm for months. They taught me everything they do within their part of the business, and this gave me some great insights into employee engagement. My experience on the third day was with the marketing team. Again, the team were very welcoming and friendly. I was set three tasks to complete with the marketing team. First was to create a pestle analysis, which is political, economic, social, technological, legal and environmental factors of Harrison Drury and their competitors. I completed this work within a presentation and presented it to Kris, the head of marketing when I finished. I received some great feedback from Kris and the team who said the work was useful to their market research. This made me feel included, furthermore, it made me feel like I was contributing to the business. The second task was to research and purchase gift cards to be used as giveaways when they do presentations at different schools and events. The third and final task was to come up with five tweets that would be put on the firm’s twitter feed. In my second week I worked with the commercial property law team. The team was very welcoming, and they set me tasks that would give me an insight into what they do. This included a current case in which the team coached me on how to draft various legal documents and reports. The team worked with me through the whole week and gave me a great experience of what working as a solicitor is like. It further reinforced my aspirations to go through with training to be a lawyer. 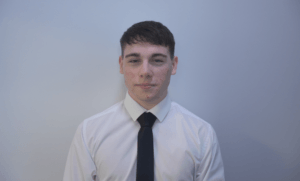 Overall, this has been a great experience and has given me the confidence to work in different sectors of law and business, allowing me to understand the services that Harrison Drury give, and also the business side of the law firm. Furthermore, it has shown me that being part of a law firm is not just about having a place to work. It’s about being part of a community and helping others. If you would like to be considered for a work experience placement then please send an e-mail with supporting CV to our HR team.